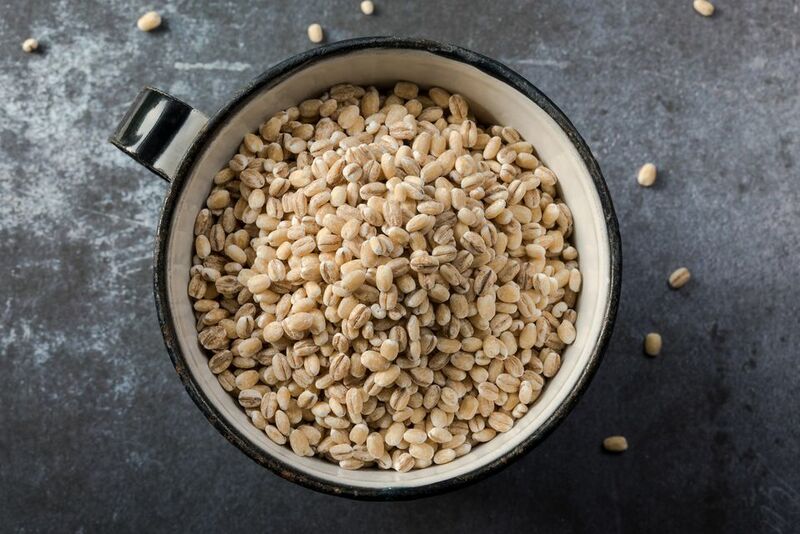 Barley makes such a wonderful side dish. The whole grains are chewy and have a wonderful nutty taste. When properly cooked, barley is tender but still has a bit of a bite, similar to al dente pasta. It cooks very well in the slow cooker. This delicious and healthy casserole recipe can be served as a vegetarian main dish or a side dish. It is a great recipe to serve alongside roast chicken or meatloaf. You can change the seasonings and the vegetables you use in this easy recipe in many ways. Use grated carrots, vary the types of mushrooms you use (cremini or brown mushrooms would be delicious), or add other veggies such as sliced zucchini or yellow summer squash. Whenever you make a change in a recipe, be sure to write down what you did so you can reproduce it. In a small microwave-safe dish, combine the olive oil with the onion and garlic. Microwave on high for 2 minutes or until the onion is tender. Then combine the onions, garlic, barley, tomato juice, thyme, oregano, salt, pepper, red bell pepper, mushrooms, and vegetable broth in a 3-quart slow cooker (don't use a larger crockpot). Cover and cook on low for 6 to 8 hours or until the barley and vegetables are tender. Sprinkle with the toasted pine nuts just before serving. If you have a newer crockpot, check the barley at 4-1/2 hours to see if it's done. The vegetables should be done at that point too since your slow cooker cooks hotter.